Hello everyone! Today is the start of the Be Bold in 2017 linkup hosted by Christina of The Social Butterfly Gal. I’m so excited to be a part of this linkup because Christina is amazing. The linkup has helped me to be accountable with figuring out my goals for 2017. 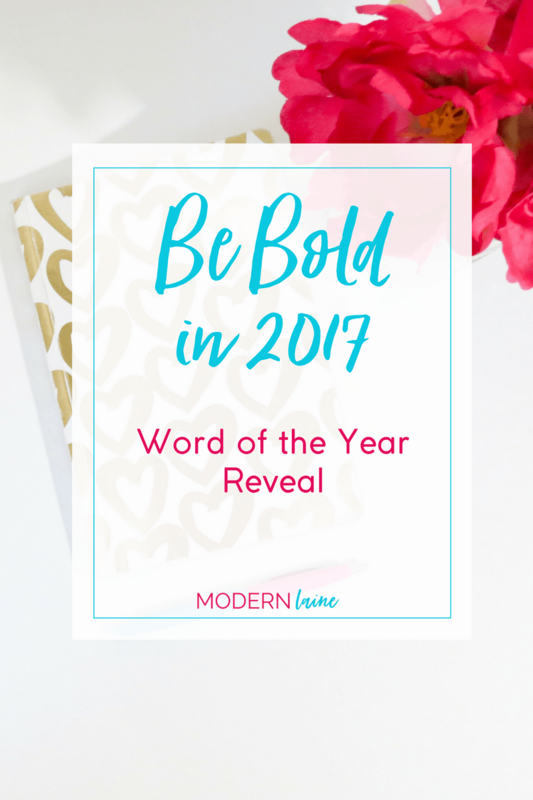 To kick out this linkup I’ll be sharing my Word of the Year for 2017! This was so DIFFICULT to do. I started by Googling positive words since my Word of the Year 2016 was Positivity. There were so many words, so I went through the alphabet and picked my favorites. I had twenty-eight words on my list at that point. Yes, you read that correctly. TWENTY-EIGHT. Then began the difficult process of trying to shorten the list down to one word. Difficult really doesn’t describe how hard it was. I managed to get my list down to just thirteen words and I decided to define what each word meant to me or how it could relate to the life I want to have in 2017. My breakthrough moment came during the 2017 Planathon Workshop with Kayla and Callie on Monday night. 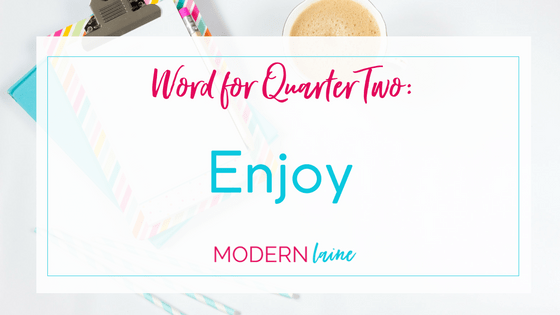 Kayla shared how instead of a single word for the year she had decided to have a word for each quarter. How amazing of an idea is that?! My plight of picking one word was finished and I just had to choose four words. I decided I still wanted a word for 2017 along with a word for each quarter, bringing my grand total of words up to five. Now you’re probably like, okay Laney, so what did you choose?! Without further ado here are the five words I’ve chosen for 2017! Peace: freedom from disturbance; quiet and tranquility. If you’re close to me you know the two things I adore the most are snowflakes and peace signs. Those two things have been a part of how I like to show my personal flair since I was about sixteen. I started out with a list of twenty-eight words. Many were the same basic thought and action. When it came down to choosing my overall word for 2017 the top three contenders were Peace, Calm and Serenity. 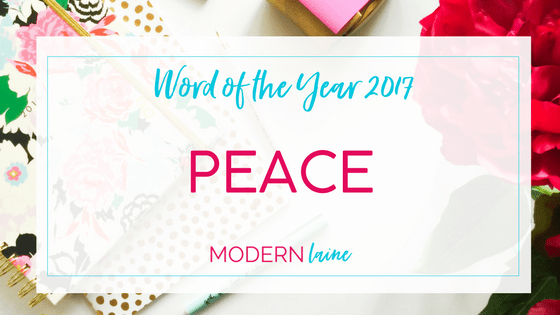 All three words are similar in meaning for me, but Peace stood out the most to me and I knew that my overall word for 2017 would be the thing I’ve always searched for in my crazy, hectic life. 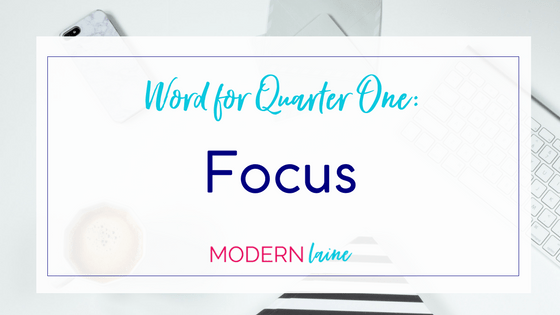 Focus: an act of concentrating interest or activity on something. Focus is one of the words that I keep coming back to because I feel like it’s been missing from my life. I am entering my final semester of senior year, working on growing my business, and facing the adult world in less than six months, which means it is time to get FOCUSED. Since most of the changes in my life will be occurring in Q2 I decided that I should use Q1 to prepare for it. Enjoy: take delight or pleasure in an activity or occasion. Enjoy was influenced by my 2016 Word of the Year, Positivity. For me Enjoy is about finding happiness and peace. Q2 will be about enjoying my new life as I transition from being a college student to being a full adult. I am prepared that it will be very different and probably a difficult transition. I don’t handle change well. It’ll be hard, but I’m going to try and enjoy the transition and new opportunities. Shine: be very talented or perform very well. Q3 will be about showing off my abilities with my business and hopefully in my new job. I want a hopeful outlook and attitude, to show my willingness to learn and succeed. I want my talents and skills to be bright and noticeable. 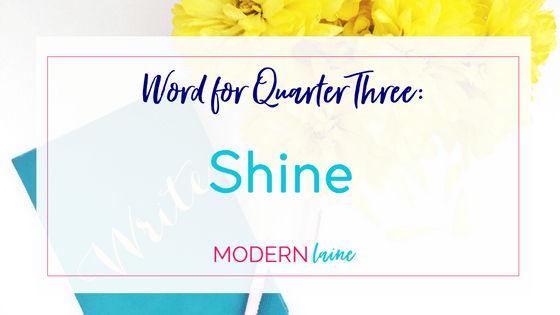 Q3 will truly be about shining. 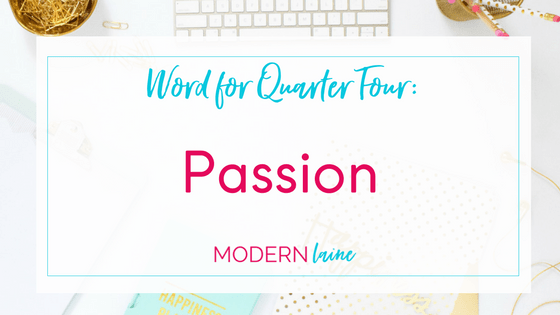 Passion: an intense desire or enthusiasm for something. My final word for 2017 is passion. It makes the most sense to end with passion. By the end of 2017 I want to be doing something that I am passionate about. I want the world to know what makes me passionate. Is that a new job in social media management or growing my virtual assistant business into an online business manager business? I don’t know yet, but I hope that by the time we get to Q4 I will have achieved what I want out of my words for 2017. Check back January 13th for my next Be Bold in 2017 post. The topic is blogging and business goals. What is your Word of the Year for 2017? Twenty-five year old graduate student living in the Holy City. Working towards graduate degree in Social Media at UF #class of 2020. Spend my days doing social media and marketing.